A Cornell human development expert and his colleagues have just discovered it also can lead to a longer life.The researchers found people who reported a significant drop in their partner’s responsiveness over the first decade of their long-term relationship also reported having more negative reactions to common daily stresses — it was those negative reactions to stress that predicted a greater likelihood of dying 20 years after the start of the study. Those who had significantly stronger than average negative reactions to stress at the 10-year mark were about 42 percent more likely to have died a decade years later. The paper, “Perceived Partner Responsiveness, Daily Negative Affect Reactivity, and All-Cause Mortality,” was published June 18 in Psychosomatic Medicine. The researchers tracked 1,208 adults who participated in the National Survey of Midlife Development in the United States, a nationally representative study. 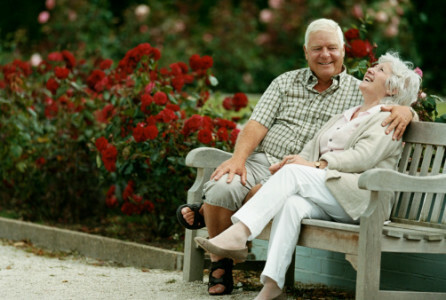 The study participants were 25 to 74 years old at the start of the study, and each had a spouse or live-in partner. The researchers looked at how responsive they thought their partner was at the beginning of the study, how stable that perceived responsiveness was over 10 years, and whether that stability predicted the person’s mortality 20 years after the start of the survey. Initially participants answered questions about how much they felt their partner understood, cared about and appreciated them. Ten years later, they answered those questions again and also filled out daily records for eight days about whether they had experienced stressful events such as problems at home or work, conflicts with others, or discrimination. And they answered questions about how often they felt a wide range of emotions — for example, hopelessness, fright, frustration or nervousness on the negative end of the spectrum, and cheerfulness, calmness, satisfaction or pride on the positive end. Twenty years after the survey began, the researchers noted which participants had died. The work adds to a growing body of research suggesting that being in a long-term responsive relationship is good for one’s health, Ong said.